99RadioService is a 5-piece rock band with the member of Ko-hey (Vo/G), Ko-ta (G/Vo), Jigen (B), GOI (Key) and Negi (Dr). Form in Tokyo in 2007, they first started their activities around Shimokitazawa area. Expressing ups and downs in their music with catchy melodies, the unique vocalist and the band’s articulately calculated ensemble continued to earn high praises. In 9/2011, they made their major debut with an album “2” and released a single “YOUTHFUL,” the opening theme song for a TV anime “Chihayafuru” in 11/2011 which attracted much attention. They continued on with single releases of “BYE×BYE” and “STAR,” the opening theme song for “Chihayafuru 2” which started in 1/2013. 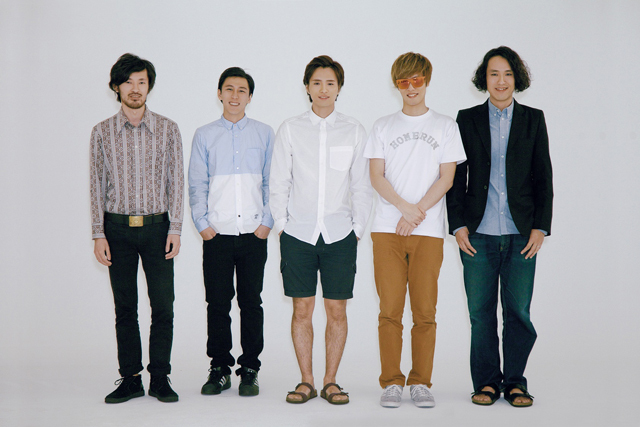 After a 2-year break, they released an album “3” in 6/2013.